Cefimet. Quick, secure, integrated and configurable. 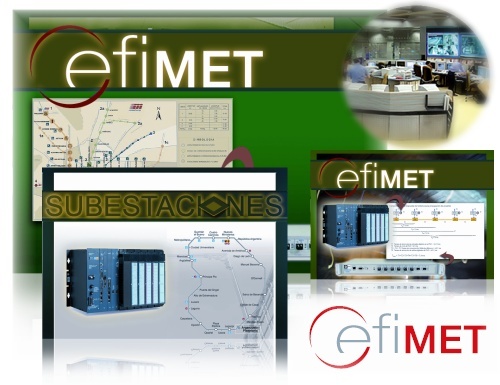 CEFIMET is the most quick, secure, integrated and configurable protection system for parallel-substation interlocking in the railway sector. The system is based upon the use of systems equipped with Reflective Memory, a technology developed and patented by GEFanuc. A single equipment for the logic and the transmission. Time of default clearance is independent of the number of substations connected (up to 256 per net or ring). Distance up to 10 km between substations with monomode fiber. Availability of the system: redundancy possibilities at all levels. Redundant communication through connection to any substation. Whole process mirror in each substation. If one substation is disconnected from the system, that will not affect the safety of the facilities. Interlocking between collateral substations is automatically reconfigured. Upper level supervision is possible with different TCP / IP protocols. Direct access to any system data or device through a unique substation communication point.